Delaware Gov. 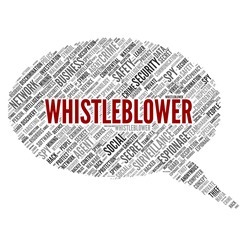 Jack Markell signed into law legislation that expands the protections provided to employee-whistleblowers. H.B. 300 extends whistleblower protections to employees who report noncompliance with the State’s campaign-contribution laws,who participate in an investigation or hearing regarding an alleged violation of the campaign-contribution laws, or who refuses to violate the campaign-contribution laws. The practical effect of this new protection is limited, as it applies to a fairly narrow group of employees-those whose employer has some involvement in political fundraising. But it serves as an excellent reminder about the importance of preventing unlawful retaliation. Retaliation claims continue to top the list of claims filed with the EEOC. Not only are they popular but they are some of the most successful for plaintiffs. The reason for its popularity and its success is the same-retaliation happens. Thankfully, most of us are not targets of workplace discrimination based on our race, gender, or disability. But I’d challenge anyone to say that they’ve really never been the target of retaliation. If you made a critical comment about a co-worker in front of your boss, you were probably subject to retaliation by that co-worker. The retaliation could have been mild-maybe you don’t get invited to lunch that day. It could be more overt-maybe a flat-out refusal to help the next time you request assistance from the co-worker. Or it could be more covert-the coworker quietly (but intentionally) sows the seeds of poor performance with your boss, telling your boss every time you don’t make a meeting on time or leave early on a Friday. All of these things constitute retaliation. But they’re not unlawful retaliation because they are not in response to you having engaged in a protected activity, such as reporting workplace discrimination or, now, refusing to violate the campaign-contribution law. So, how can employers prevent unlawful retaliation? The key, in my opinion, is taking a step back. We’ve all had our feelings hurt when a co-worker points out an error in our work while the boss is standing there. But, the key is to take a step back, realize that you’re a rational, logical, thinking adult. And move on. No grudge holding. It makes life far more difficult than necessary. This entry was posted in Delaware Specific, Legislative Update, Retaliation. Bookmark the permalink.